Arrests in connection to the alleged attack on Venezuela's president have been made. NBC6 Reporter Nathalia Ortiz explains. The government is calling this an attempted attack on the socialist leader. 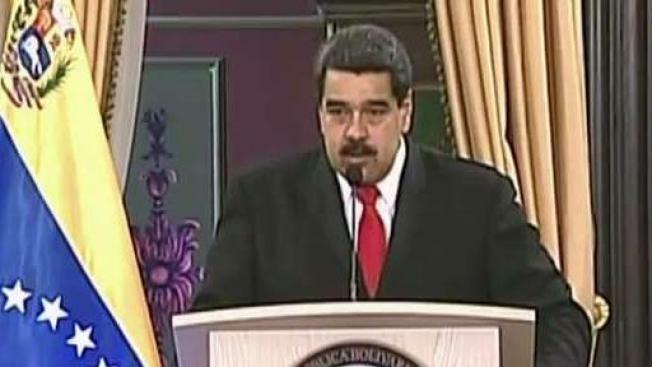 On Sunday, Maduro retweeted video that he and his government said showed the moment one of the drones exploded. The ministry of communications said the video was authentic. NBC News has not yet verified it. Analysts believe Maduro still holds the military's support but said the images broadcast live on television Saturday nonetheless made him appear vulnerable. Christine Armario and AP video journalist Clbyburn Saint John contributed.